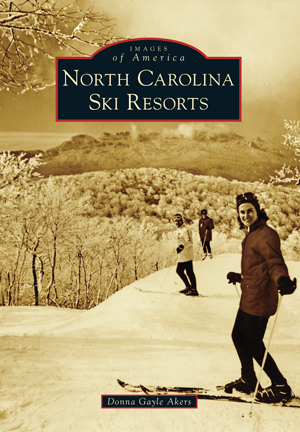 During the early 1960s, local leaders in western and northwestern North Carolina were dedicated to developing winter recreational opportunities in the mountains. North Carolina's ski industry dates back to the winter of 1961–1962, when the Cataloochee resort in Maggie Valley developed the first ski slope in the state. Once thought impossible to make snow south of the Mason-Dixon Line, technological innovations in snowmaking allowed several other resorts to develop through the 1970s, including Appalachian Ski Mountain, Beech Mountain, Sugar Mountain, Wolf Ridge, and Ski Sapphire Valley, all of which still operate today. Images of smaller ski areas, such as Hound Ears, Seven Devils, and Mill Ridge, are featured to honor these now defunct clubs. Many of the present-day resorts have incorporated snowboarding, snowshoeing, ice-skating, and snow tubing, along with mountain biking trails for summer recreation on the slopes. North Carolina Ski Resorts showcases the rich recreational history of western and northwestern North Carolina. Donna Gayle Akers has gathered vintage and modern-day images from resorts and founders of the ski industry to provide a visual journey through the development of the area as the South's major ski destination.